Try this workout from Health and Wellness Coach, Chad, for a quick and efficient routine to elevate your heart rate and strengthen those muscles. 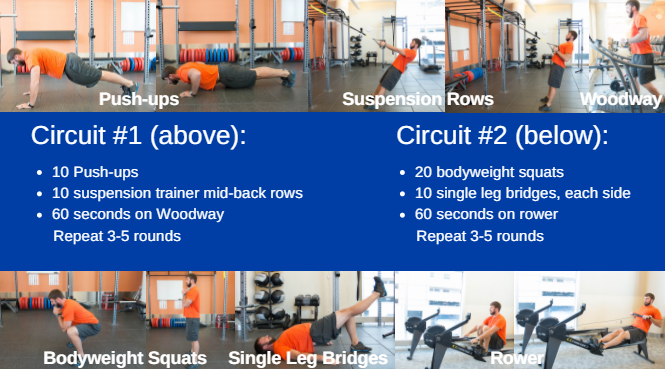 Try to complete 3-5 rounds of each circuit with minimal rests in between moves. Remember to perform a proper warm-up and cool down with this workout.